1 Who is eligible for Chapter 13? 2 How does Chapter 13 work? 3 What will my duties be under chapter 13? 4 What is a trustee and what is their role? 5 What is the role of my attorney? 6 How does Chapter 13 affect my credit score? 7 What are exemptions in Chapter 13? 8 What if I am self-employed or a business owner? 9 What if I can’t continue to make all my payments? 10 Should I file for Chapter 13 bankruptcy? Who is eligible for Chapter 13? Chapter 13 is reserved for individuals and couples, as opposed to corporations and partnerships. You’re most likely eligible assuming you have received credit counseling and possess a regular income sufficient for your living expenses. Additionally, your secured debt must be less than $1,257,850 and your unsecured debt should be less than $419,275. If you had a bankruptcy petition that was dismissed with prejudice or for abuse in the last half year, you cannot file until the 180-day waiting period has expired. You and your lawyer will file all the necessary paperwork, such as the petition, a statement of financial affairs, the schedules, and your plan of reorganization. You will pay a number of fees and possibly meet with your creditors, but your attorney will handle most details. If you plan to file on your own, you should be aware that the failure rate is very high. In most cases, it’s highly recommended to hire a qualified bankruptcy attorney. Once your paperwork is submitted, your documents will then be reviewed by the Chapter 13 trustee and creditors. After that, you’ll begin your payment plan. Rather than discharging debts as in a Chapter 7 bankruptcy, Chapter 13 creates a multi-year repayment plan. You’re given a monthly payment amount based on your disposable income and necessary financial obligations. That amount is then distributed amongst your qualifying creditors. You then have 3 to 5 years to resolve your debts. After you successfully complete the payment plan, your debts are fully discharged. The entire process typically takes between three and five years of structured payments that are applied to your debt adjustment. Some debts won’t qualify for discharge, including federal student loans. What will my duties be under chapter 13? What is a trustee and what is their role? The trustee is a representative of the bankruptcy estate who works for the bankruptcy court and the federal government to review bankruptcy petitions and schedules. This person generally handles most of the issues related to the processing and approval of bankruptcy cases. The trustee also acts as the disbursing agent for your payments and provides oversight on issues that might arise. What is the role of my attorney? In Chapter 13 bankruptcy, your bankruptcy lawyer generally analyzes all the particulars of your situation and prepare your estate, allowing you to keep as much of your property as possible. He or she will assemble all your information and data and handle your court paperwork and deadlines. Your attorney will prepare your petitions, schedules, and statements for filing, draft your plan of reorganization, and help you understand your duties. Attorneys will also meet with your creditors, attend hearings and address issues with the trustee. Additionally, attorneys will make necessary petitions and modifications if you need to change your plan. They are now more liable for inaccuracies and other problems that could arise in connection with your bankruptcy case. This means that many of the burdens of bankruptcy are taken off you and become the attorney’s responsibility. Attorney’s fees vary from state to state but expect to pay anywhere between $1,200 and $2,500. Given the level of responsibility they carry on your behalf, it’s well worth the investment. How does Chapter 13 affect my credit score? Chapter 13 bankruptcy will be publicly listed on your credit report for a total of seven years, during which time your credit score will be negatively affected. However, your score will slowly increase as you establish a positive payment pattern during your adjustment period, and it will continue to increase as long you keep up with your payments. In addition to a lower credit score, you can also expect an increased difficulty in obtaining credit. If you do qualify for a credit card or loan, you’ll pay some of the highest interest rates on the market. You’ll also only qualify for smaller credit amounts so it will become especially important to save up cash reserves to have on hand for any financial emergencies that pop up. What are exemptions in Chapter 13? Under Chapter 7, every state has a list of exemptions for things that don’t need to be sold to pay back creditors. Usually, there is a monetary limit for each category of property you own, whether it’s your home, your car, or your household possessions. Under Chapter 7, your creditors have the right to liquidate assets not protected by this exemptions list. In Chapter 13, however, instead of having those items liquidated, you must pay to creditors, as part of your adjustment plan, their full value. To fully understand how exemptions work in your situation and state, it’s helpful to talk to a lawyer. What if I am self-employed or a business owner? If you are self-employed or operate your own business, you must file a monthly financial report or business operating statement with the trustee before the 15th day of each month. You’ll also need to verify your income before you file for bankruptcy. If you own your own business, it’s even more important for you to maintain thorough documentation of your financials both before and during Chapter 13 bankruptcy. What if I can’t continue to make all my payments? If a situation arises under Chapter 13 in which you’re unable to make all your required monthly payments, you must show that it is the result of a serious income change or a necessary expense. Your lawyer must then file a moratorium with the bankruptcy court and creditors, which is subject to approval by the trustee. In most cases, you should be able to get approved for some type of catch-up plan, including lengthening your repayment term if you’re just suffering from a short-term financial setback. For a long-term issue, you can apply for a modification. In the event of a severe hardship that makes it impossible for you to make your Chapter 13 payments, you can request a hardship discharge. Another option is to convert your bankruptcy to a Chapter 7 and have your remaining eligible debts discharged. This is only possible if your new financial situation meets the income qualifications for Chapter 7 bankruptcy. A final option is to dismiss your current Chapter 13 and file for a new one. Just make sure you request an automatic stay from the court to ensure creditors don’t resume their collection attempts as you pivot to a new bankruptcy plan. There’s no right or wrong answer to this question. One of your first steps should be to undertake free credit counseling to see if you can figure out a manageable debt payment plan that works for your current situation. If not, you should then seek professional legal help. It’s great to read up on the pros and cons of bankruptcy, but at the end of the day, so much depends on your personal situation. From your money to your state, there are countless small details that could influence what it means to take the best course of action. 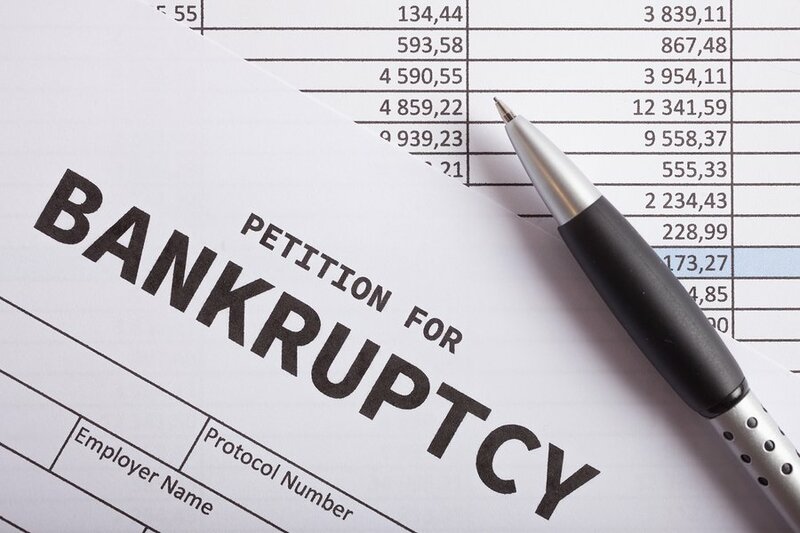 What Debts Qualify for Chapter 7 & 13 Bankruptcy Discharge?